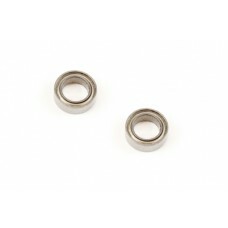 Brand new TD601020 Team Durango 5X8X2.5mm Ball Bearings (2). These Team Durango ball bearings are designed to give you smooth, fast and long lasting bearing travel under the most extreme racing conditions. Supplied in packs of 2, these Team Durango high quality ball bearings are the perfect way to guarantee reliable and silky smooth operation every time your Team Durango vehicle hits the track.